I’ve approached learning German in several ways, most recently using Lingoda. Lingoda is a web-based language learning program that connects you with live teachers via audio and webcam. The system is based on the CEFR language certification (A1, A2, etc) which is what most people understand when you’re explaining to schools or employers your language proficiency level. You can also receive your certificates through Lingoda, without having to pay and take a test at a local language school. They offer courses in English, German, French and Spanish. I will write about my own journey with language learning shortly, but the tl;dr version is I’ve gone through Duolingo in German, group classes at university in French, to private lessons here in Germany in German – so I’m familiar with many ways of learning languages. I’m finishing up my A2 in German. My kitchen table desk set-up, where I’m often doing my Lingoda German lessons. You pay a monthly fee, and receive class credits. You can choose all group classes, all private lessons, or a mix of both. I went for a mix of both. I have to say, the group classes are very small, only 4-5 people, so you won’t get lost in the mix. I personally like the chance to gather my thoughts and plan an answer when I know my turn is coming up, so four or five people in the class is perfect. The classes are based on skills, conversation, reading, and writing. You can see all the options laid out for your particular language level. You select days and a range of times, and your options for classes pops up. You select your classes from there. What I particularly like is being able to choose a class quite late on. Say you realize you have time this evening, you can still sign up for a class. Though by the same token, cancelling requires seven days notice, so I would suggest not to book everything ahead, but book as you go. You can do the lessons in order, or just pick what interests you to start. I picked a few at random to start, and honestly wish I had stayed more with the official order as I think I was a bit over my head to begin with! I recommend having a notebook and pen beside you to make notes as you go along in class. It helps when you know you’re going to have to answer something as you can attempt to work it out a bit first, as well as making note of something you’d like to ask about later. For my learning style, it helps cement concepts in my mind to write them down. I recommend going through the learning materials before class starts so you’re not completely new to the subject matter. I’ve had a few now, and I would say they are quite good. They are experienced with the system and the material, so they kept things moving ahead, but I didn’t feel rushed. The teachers are all native speakers, which is so critical to getting your pronunciation right. I felt like they didn’t gloss over mistakes, but matter of factly corrected students, but didn’t get overly hung up on sentence structure when we were trying to answer more freeform questions. That is so crucial, because it’s so important to feel like you’re making some progress with conversational language, and it’s easy for language learners to get bogged down in details. As with any language learning experience, you get what you put in. Don’t hesitate to ask questions if you don’t understand something a teacher has said and put yourself out there a bit. Obviously it’s important to wait your turn in class, and even more so when we’re all remote, but there’s a button for raising your hand. I understand feeling embarrassed for not knowing something, I so get it. In fact, I get a cold sweat before class starts sometimes! But you will enjoy learning, and your teachers will enjoy teaching you when you go into class thinking positively about participating. They can’t help you learn if you don’t try and make mistakes! If you haven’t been taking language classes, I would start at the beginning, even if you know a little bit. Speaking a new language is as much about confidence as the vocab and the grammar, so if you have a little time to get into it without being faced with new words, that can really help. You can do a level test online – I tried this language level test online and it accurately reported what level I’m at – or book a customized private class on Lingoda and a teacher can tell you. I already knew what level I was at from my previous lessons, so I didn’t need to do this. What I’m often looking at while I’m doing a Lingoda German lesson. It is good. As with any language learning experience, if you put in the time you will reap the benefit, so you need to buckle down and do your classes. Being able to structure the pace of classes to my timetable has been a huge benefit to me –– particularly when I have more free time I can take a few more, and slow down when things get busy. You get the benefit of a live teacher instead of automated system like Duolingo, so your pronunciation is corrected, as well as having to think on your feet. Lingoda has a lot of the benefits I was missing from a local class, but on my random schedule. Is it cheap? Well relatively yes, you are benefitting from native speaker teachers in a small-class size environment, so I would say it’s quite competitively priced. I can only find local language classes that are every day all day, or one evening a week, but nothing in between. This allows to me to study at a sort of middle intensive level. Granted I hear German spoken all day everyday around me, so your mileage may vary if you’re learning a language in isolation. However, I still think this would be the best way to do it, particularly when it comes to pronunciation as you will for sure have a native speaker as a teacher, which is harder to come by when you’re learning somewhere else. It’s so critical to getting your pronunciation right to learn it correctly the first time! Obviously every platform has its downsides, and my main issue with Lingoda is the seven day class cancellation policy. I definitely value teachers’ time, but even three days would be more realistic. Because you’re dealing with an online platform, sometimes there’s some messing around with students losing the connection to the class, or your teacher losing their connection and having to come back in. In my experience, it’s been minimally disruptive, as the teachers seem to have a good handle on the system. The bottom line: should you try Lingoda? If you’re serious about learning a language, and you’re finding it difficult to find live classes that fit in your schedule, Lingoda is a great alternative. Having native speakers as teachers, and being able to take more classes when you have more time, and fewer when you have less is great for parents, working people with unreliable schedules, and freelancers. If you’re looking to pick up a language in a casual way, this will probably be more than you want, and I’d encourage you to find a once-a-week class at a local community college or try Duolingo for free for a bit. As an immigrant trying to learn the local language, it’s a life saver. It’s a funny one, moving countries with a child. You’re forced to get a lot of things sorted out with them standing right there, but you also can’t lose it in front of them. This whole moving to another continent was your idea, you can’t freak out. Obviously there were times we were all tired, there was more iPad and Netflix than was probably good for anyone, and I think there was a two-week period where he ate mostly brezel. But, he turned seven a month after we moved to Germany, and I think it was a good time to do it. Does he ask about ‘home’? No, actually. We talk about Vancouver, the last city we lived in and the only one he remembers, but we don’t call it home. I was careful not to do that right from the beginning, for several reasons. Firstly, while I love Vancouver, it is only one home to me, London being a very close second in my heart. Secondly, I’m not sure when we will move back, and I don’t want to spend our entire time in Germany with him waiting to leave. This is our home now. He tells stories of things that happened when we lived in Vancouver. There were a few instances of, ‘Why did we have to move here?’ but relatively few. Thankfully. Even when moving to a different Western country, the food changes will feel huge to a smaller person. To be honest, they are huge to everyone, but most adults can manage it. My son is a moderately picky eater – he has about 10 foods he likes and most variations on those he will try in good faith. But sometimes the local version just doesn’t fly – Käsespätzle, the German analogue to macaroni and cheese, was a flop. I love it, but the eggy, odd-shaped ‘noodles’ didn’t fly with a seven year old. Thankfully, broccoli and carrots are on his list, and I can steam those anywhere. Maybe it’s because he transitioned to solid foods when we lived in the UK and sausage was one of his first, but he’s pretty game to eat most wurst. This is key, as he doesn’t like potatoes. I know. I KNOW. You gotta love at least the pig or the potato in the Deutschland, or life will be tough. The school situation is an interesting one. I have met other expats who think I’m crazy for not putting him in the International School, and others who think I’m equally nuts for not just going for the local German state school. We split the difference, and found a bilingual private school that runs the local curriculum where he learns German and English. The students are 80% local German kids, so the playground language is generally German, and we pay for extra German classes twice a week. It’s an interesting mix of kids of expat parents who have moved here for work (about equally split from English-speaking families and families from India who speak Hindi and English and probably two other languages as well), German families who have lived abroad and want to keep their children’s English up (Singapore, Japan, the US), local German families with one very fluent English-speaking parent, and some local German families who just want more English instruction. Our son went to French immersion school in Canada, so he’s very used to his whole school experience being in an language he isn’t fluent in. He’s thrilled that some of his classroom time is in English now, and he’s made a good friend, which has had more impact than any of the language stuff. The settling-in period with school has been about as rocky as it was when he started French immersion, and in some ways less difficult. He’s still a bit hesitant to speak German, though I hear him shouting at his friends in German when I come to pick him up. His aural comprehension is amazing though, I’m jealous. 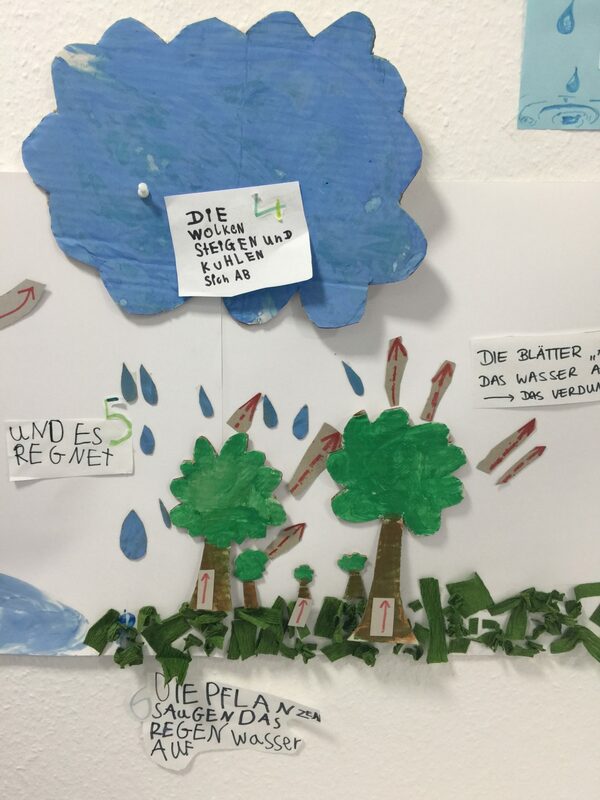 Elementary school kids go to Grundschule, and it starts when your child is 6 years old. No school is mandatory before that point, but most kids go to Kita, which is a bit of a kindergarten/preschool situation. School runs through the morning, with different school starting at different times, but our school begins at 8:45am, and goes until 1pm. I have the option of letting him eat at school, and then staying for ‘homework time’ afterwards, where they do their homework while a teacher supervises. When they’re finished homework, they can play inside, and at 3pm, they can go out and play. There are various after-school clubs at the school that run from 3:30pm, which our son participates in, includes things like astronomy, cooking, table tennis, skateboarding, and judo. I pick him up at 3pm most days, and 4:30pm twice a week when he does his clubs. He eats a hot lunch at school, for which we pay separately. His extra German classes are in the homework time, twice a week. Communications from the school are usually bilingual, but his report card, for instance, was entirely in German. His main teacher does not speak English well, and communicating with her can be a challenge, but thankfully it hasn’t been an issue yet. I see kids my son’s age and a year or so younger, walking or taking the tram home from school on their own. Heidelberg is a very safe little town, but I get the sense this is not unusual anywhere in Germany. I let our son look at things on the other side of the grocery store a long way away from me, and let him come find me when he’s ready. In a North American store, I know someone would ask him where I was, but here, no one even bats an eye. 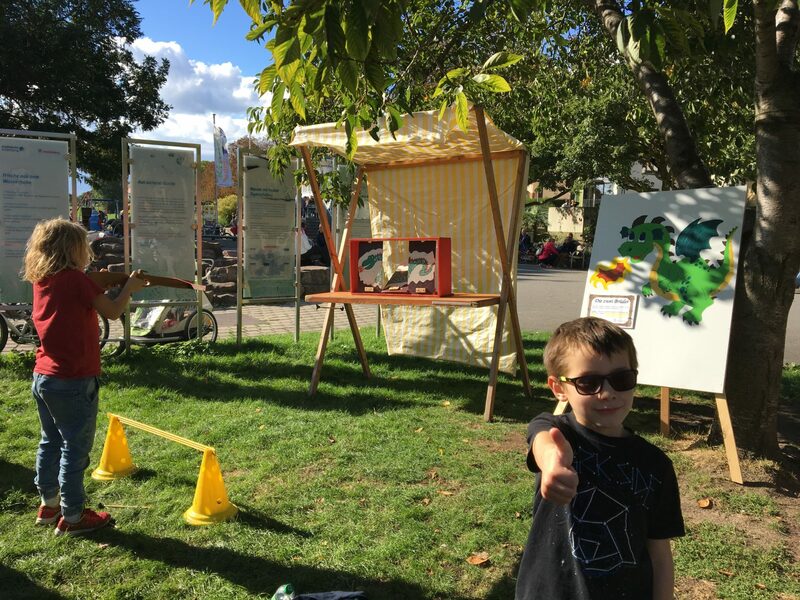 In the playgrounds, parents are sitting on benches, or picnic blankets hundreds of yards away while their kids play – and it’s fine. I’ve had very polite German children come to ask me for help, because another, unrelated child is having troubling getting down and their parents aren’t nearby. It isn’t a panic, just a request. I definitely see a lot less helicoptering. Interestingly, I very rarely see kids pushing ahead in the queue for the slide, or not letting other kids have a turn on the swing – but they manage it themselves. It’s not that they are all quiet, not at all. I haven’t quite put my finger on it… maybe it’s this society’s heavy emphasis on the common good? I’m not sure. I like it though. Of course, moving a child to another culture, halfway around the world is going to be difficult. There were sleep regressions, eating regressions, and sometimes every. single. thing. was a battle. I think because not-so-deep down we all felt like kicking and screaming some days, it made it less scary. I felt like that, why wouldn’t he? I mean, I still felt like I was losing my mind when he was screaming, but I wasn’t worried about his overall sanity. Much. After a couple months, the tantrums dropped off, and school was a great distraction. I was careful to tell him when I was struggling sometimes, because I wanted him to know it was normal and completely justified to be feeling overwhelmed after this kind of move. Not being able to talk to his main teacher much, and getting his report cards in German is a challenge. There are other teachers he has at school that I can talk to, but not being able to have a nuanced conversation is a challenge. Also, there is no quick chat with the teacher after school, appointments must be made a week in advance. Although my son’s German is coming along in leaps and bounds, he still doesn’t feel comfortable in a fully German situation, so pretty much all after-school activities offered anywhere that isn’t his bilingual school are off the table for now. Often young people who are running these activities can speak English, but it’s hard to tell ahead of time how willing they will be to suddenly conduct a gymnastics session bilingually. There are some English-language or bilingual activities around, but it takes some serious digging. I’d definitely say he’s settled down well now, and has made several friends. He really likes school, and all his teachers. His German is coming along well, both reading and speaking. He’s a really good sport about being dragged around castle after castle, and seems to enjoy it now. We worked hard both before we moved and afterwards to make this as smooth as possible, however, so it’s definitely not a case of just hoping it would work out. I wrote about what we did to prep for the language change, and it was a similar path preparing for the move. We talked lots about Germany, what the food would be like, and looked at lots of photos online. We read books and started following Bayern Munich. Though I think what helped more than anything was the Bayern Munich shirt with his name on it my husband brought back from a business trip…! The education he’s getting, both in another language and from our traveling around, has made it worth all the headaches and stress to get here, for sure. 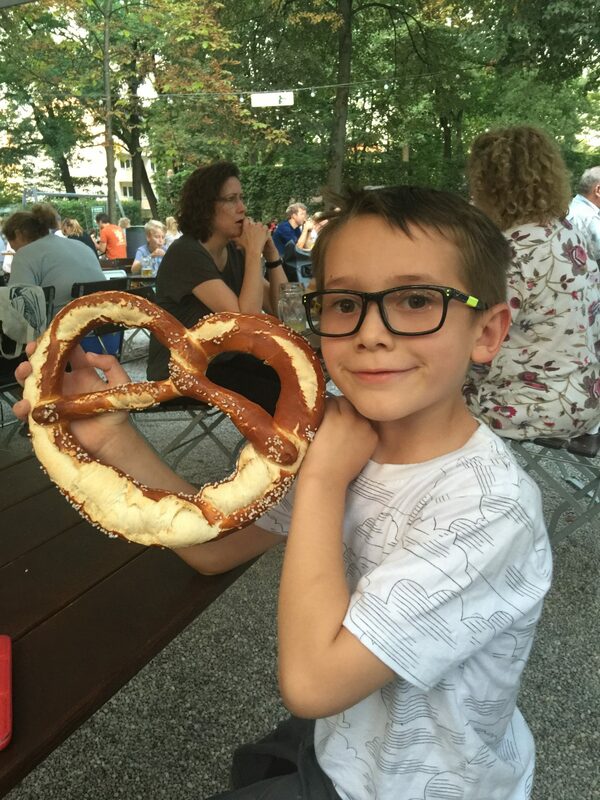 My son is seven years old, and through various twists of fate he has attended an English language public school and a French immersion public school Canada, and now attends a German/English bilingual private school in Germany. We’ve gone through the language/school transition twice now, both with a major international move and without. While I’m not a speech pathologist, a teacher, or a child psychologist, I have gone through this as a parent a couple of times now. 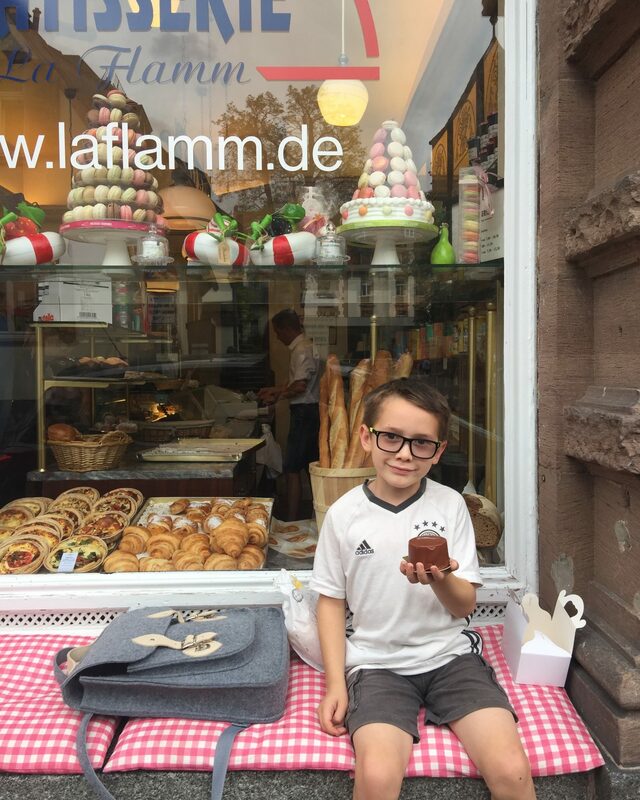 As we adjust to our new life in Germany, I was struck by how many similarities there are between our time settling in to French immersion school and German school. Here are three things we’ve learned, living through this major change twice now. If you have a few months to prepare, use them. Ask the school your child will be attending for some tips and resources in the target language. Download game-like apps to give your child a feel for the vocabulary (we love Gus on the Go in particular). Check the Netflix options for shows in the target language, but look for ones a few age levels younger so the speech is simpler. It’s ideal if it is a show your child likes and knows well already. Pinterest is great for language resources, and so is YouTube (here is my French immersion resources board, and my Learning German board). Obviously don’t throw it all in there at once, but try something every couple of days. Support, but don’t push it. 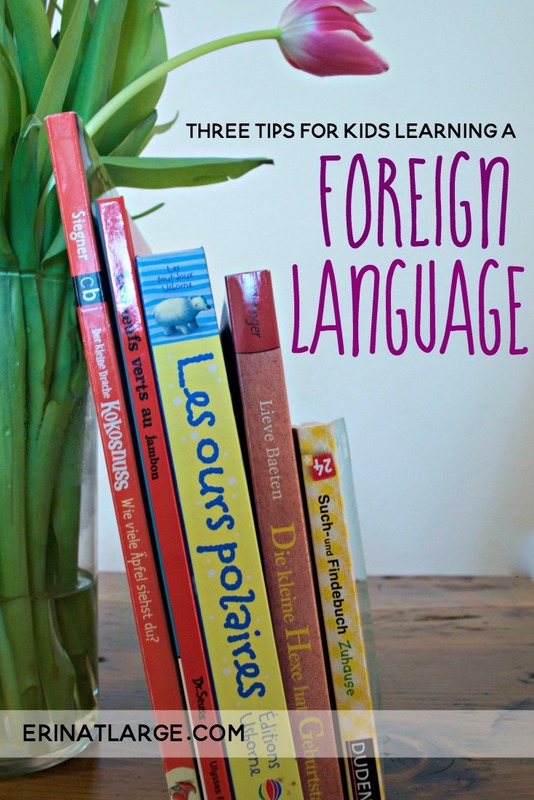 Once they start school, it’s tempting to try and speak to them in the target language (if you know it), or expect them to come home with new vocab every day. Don’t forget how exhausting learning a new language is – and if your child is staring in a new school in an immersion situation, they’re doing a new job in a new language too. Keep things as mellow and predictable as you can at home, and keep the extra curricular activities to a minimum until they settle in. Though, if there’s an activity they really love and feel confident doing, definitely go for that. Learning a new language can be a real knock to even confident kids, so anything that bolsters the ego is terrific. Give it time. Lots of time. It may seem like they will never speak the language, or that nothing is going in, but be patient. With our son, it takes about six months before little words and phrases start popping out at random. If you can, spend some time learning the language too if you don’t already speak it, and ask them to help you. Kids love teaching their parents something. If you’re really concerned nothing is sticking, talk to their teacher. I really recommend waiting at least six months though – and know that speaking the language is one of the last things to come. Have you made a language transition with your children? Any tips to share? Our favourite language learning app for kids, Gus on the Go, has free language printables. We’re counting down the weeks until the big move to Germany, and I’ll answer the third most often asked question: do you speak German? Our nearly seven year old has been in French immersion, so his reading and writing education has been entirely in French so far. He speaks quite well, and understands loads, and though it might seem a bit crazy to pile on another language now, he’s been taking it in like a sponge. Thankfully French and German have quite a few parallels. We’re not pushing hard on the German with our son quite yet as he will be attending a bilingual German English school, and I suspect he’ll be better than we are a few months in. However, just to get him going, we downloaded our favourite language app for kids, Gus on the Go, in German. They also have a terrific set of free printables on their site as well – fortune tellers, flash cards, and more. Look at my 9% fluency! Whee! My husband and I have been spending about an hour a day on Duolingo, and for a free app, it’s incredible. We have access to an earlier version of Rosetta Stone, and while it’s helpful and a bit pickier when it comes to translation, we’ve both found we spend the most time on Duolingo. My husband also likes using Busuu, it focuses more on conversational German. Our favourite complement to Duolingo, however, is German Pod 101. Their audio lessons are hilarious, and I’ve learned a few basic rules that make it so much easier to get through intermediate Duolingo lessons. The Accent Improvement lessons are excellent, and having transcriptions of everything readily available has been a lifesaver. The little cultural tips are invaluable to us, as we’ll be making Germany our home for the next few years. They have a free option where you can get access to the audio lessons, but it doesn’t cost much to get a membership that includes transcripts. They have an app as well. The Newbie series of audio lessons have been a big hit in the car on the way to school too. The answer is clearly yes, but that’s going to take a degree in engineering and a large workshop full of tools you don’t have to sort out isn’t it? Actually, no. There’s been a cool scene brewing out there, sometimes referred to as ‘maker culture’, all about getting down to brass tacks and building something cool. Parents have been at the forefront – making neat stuff with and for their kids. I’m sure you’ve done the same, really, whether it’s involving your kids in baking cookies, feeding the chickens, gardening, crocheting, tie-dying, and whatever else you happen to know about. This particular corner of the maker universe is all about electronics, coding, robotics, and wearable technology. What I find fascinating about this whole scene is the positivity. There are loads of companies focused on enabling everyone to build Cool Stuff. The sheer volume of creativity is stunning. Frozen cosplay? Totally, here are 27 tutorials on everything from Elsa’s tiara to using bits of glass to truly capture the idea of that glittery cape. Light up your shoes with flexible LEDs? Sure. Stitch lights and sensors into your skirt so it lights up when you move? Yep. If you’re looking to get started in the world of electronic stuff, there are a couple routes to take. Key things to know here: as the supervising adult, you will have to help if your child is younger than about 8 or 9, but my 5 year old is perfectly able to get in there and do a project with adult assistance. 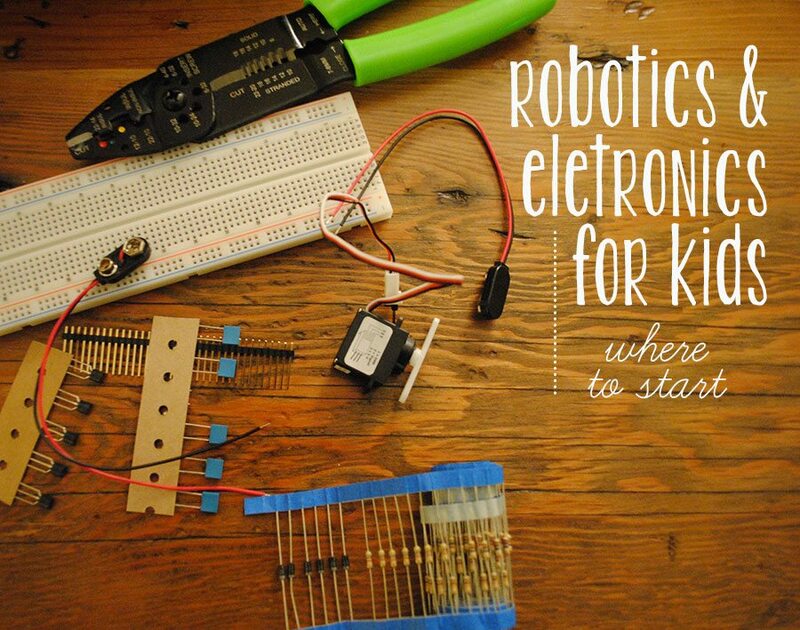 You don’t need any previous electronics or coding experience to do these beginner steps. The documentation and videos that go with these kits are excellent and easy to follow. There two main companies that make beginner kits for kids: Snap Circuits and littleBits. Snap Circuits is electrical engineering for kids. You get a basic breadboard (that flat thing you attach wires and components to) and things like resistors, LEDs, and sound-producing components. The Snap Circuits Jr kit includes 100 different experiments to build, including a doorbell, flying saucer, and alarm. Everything is in plastic holders, and it requires no additional tools. Snap Circuits is all about the technical elements of electronics: how parallel circuits work, how resistors work, that kind of thing. The basic 100 experiments kit costs $30. littleBits, however, is more like programming for kids. Each piece snaps to another, which you can attach to a person, a playdough sculpture, a LEGO car, a windmill made of craft sticks… really anything. The base kit includes things like a DC motor, a pressure sensor, a light sensor, and a bright LED. It’s much more 3D than the Snap Circuits, and would be a good entry point into robotics. However, it’s more expensive. The littleBits base kit is $100 US, and it’s a challenge to get in Canada without paying their (starting at) $37 shipping charges. It seems expensive when you think of it as a toy, but when viewed as a beginner robotics kit, it seems more reasonable. If you have older children who are really keen, the world of Arduino is like peeking into Narnia through the wardrobe. This is where you get into the really cool wearable tech, complicated robotics, and, it should be said, requirements for more tools. Though all you really need to start out is a $10 wire stripper. Arduino is an open-source electronics platform that was designed to make building robots and things like that easier for hobbyists. There are countless books, blogs, instructions, and plans out there for incredible things you can build with Arduino components. Start with the Arduino site, then move on to Make: magazine, and adafruit to see what’s possible. Electronics shops sell Arduino kits and components, and it’s easier to find in Canada than littleBits. The Official Arduino Starter Kit is about $125, and includes instructions (and all the bits) for projects like a light theremin, a lamp that responds to touch, a colour-mixing lamp, and a motorized pinwheel. It does require some basic coding, so this wouldn’t be very fun for kids much younger than 12. 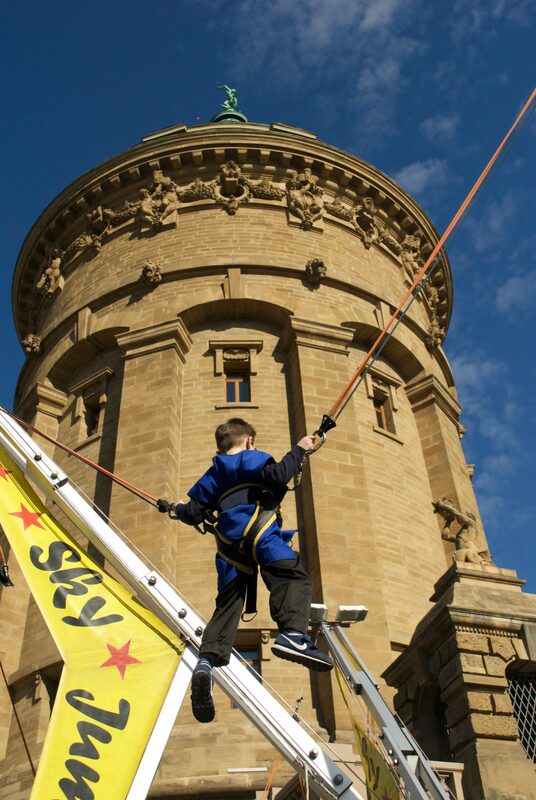 The sky’s the limit with additional components. You can find cheaper base kits at about $50, and if you know exactly what you want, you can buy the Arduino microprocessor itself for about $30. However, I can’t be held responsible if you’re pricing out 3D printers by next Christmas.